Forget blending in. 2019 is all about standing out, and what better way to achieve this than with a bold colour like pink. Many people shy away from the shade because they think it’s hard to wear, but if you look at the golfing fashion highlights of 2018, many of them involved a pop of pink. Whatever you call it, either salmon, rose, blush or coral, there’s no denying that wearing pink is a challenge. If you’re up for the challenge, make sure you follow these style rules from the pros to avoid looking out of place on the green. What better place to look for pink-spiration than the final day of the 2018 Players Championship. On this day, the players compete in an unofficial “pink out” to raise awareness for breast cancer charities. As a partner of The Donna Foundation, this offers the perfect opportunity for the players to show off their favourite pink threads. And it’s also the perfect opportunity for us to pick up some style tips. So, without further ado, here are six different ways to make pink work for you on the golf course in 2019. Webb Simpson offered the perfect example of pink done right when he wore the FootJoy Stretch Pique golf shirt in berry. This bold choice was paired with a muted pair of khakis to avoid looking over the top. One thing that golfers should be aware of when choosing their shirt is the risk of creases. Since bright colours tend to accentuate creases, it’s important to reach for highly technical and anti-wrinkle fabrics if you are opting for a bold bright colour like this berry hue. Luckily for Simpson, he did just this and looked sharp for his victory. Wearing pink doesn’t have to be a brash choice. If you’re not excited about making a brash statement, opt for a pale pink. At the 2018 PGA tour, we saw Xander Schauffele use this styling choice to create a sleek and professional look. Having an athletic build means that he can get away with more than most, but he certainly hit a hole in one with this fashion choice. If you’re planning to wear a light pink striped polo similar to Schauffele, pair it with a light grey pair of pants. If you’re looking for a low-risk choice on the golf course, opt for a hue that could almost be considered red. Jordan Spieth tried this look at the 2018 PGA tour and the result was magnificent. 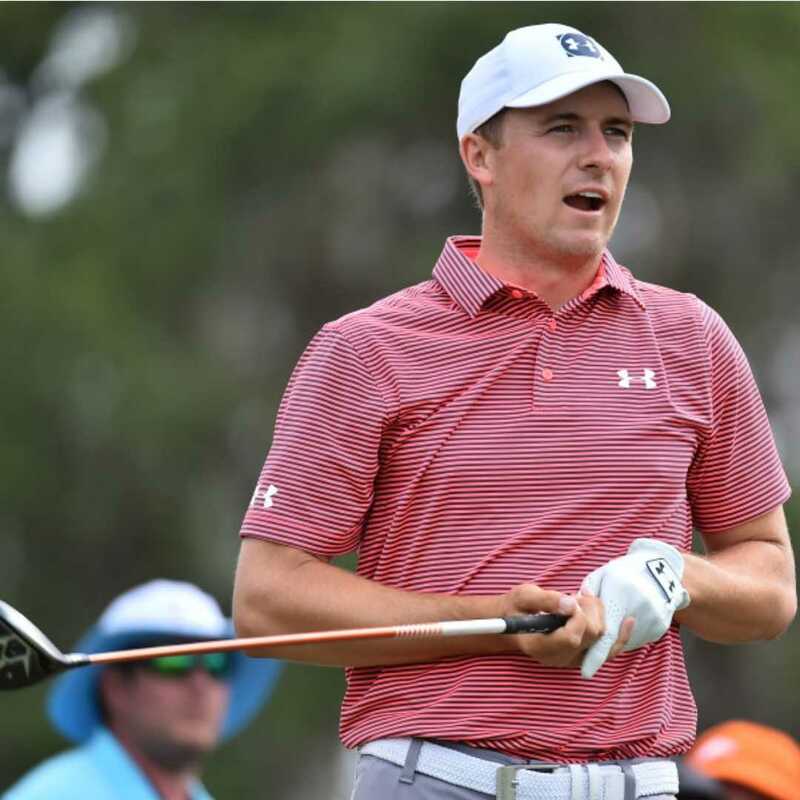 His Under Armour UA Playoff golf shirt featured thick pink stripes which gave the shirt an almost pomegranate red look. However, if you look at the detailing around the collar and on the buttons, you’ll see a much brighter shade of blush. The safest colour to pair with pink is grey, and Spieth managed this with ease. Perhaps the boldest look on the golf course is pink pants. These can range from baby pink to bright magenta. The only rule you need to follow is that you wear them with confidence. These pink PUMA golf pants are the perfect choice for summer and create an effortlessly preppy look. Choose a brighter colour if you don’t want people wondering if you accidentally washed your white trousers with your favourite red shirt. If you aren’t ready for a pink golf shirt then you probably aren’t ready for pink golf pants either. Not to worry, as there are ways to accessorise with pink accents. This look is modern and stylish without being too outlandish. If you play at a more conservative golf club and are worried about ruffling feathers, then this is the way to go. At the 2018 PGA tour, Bryson DeChambeau showed us how it is done with this PUMA Ignite Pwradapt Golf Shoes. These feature a distinctive pink heel and a pink logo. DeChambeau’s were also customised with the word “mom” and a bright pink heart. There’s no need to go this far, but we’re sure your mum will appreciate the thought. Continuing with the pink trend and tributes to his mother, DeChambeau also toted a distinctive bright pink Cobra golf bag for the day. Similarly emblazoned with the “mom” motif, it was a nice sentiment, but not one that we would suggest you try to follow. With the selection of pink golf bags available, it’s going to be hard to pull it off without looking like you just picked up the wrong golf bag in the clubhouse. If you really want to try the pink trend on the golf course, you’re far better off with accents of pink rather than overhauling your core items in a shocking hue. 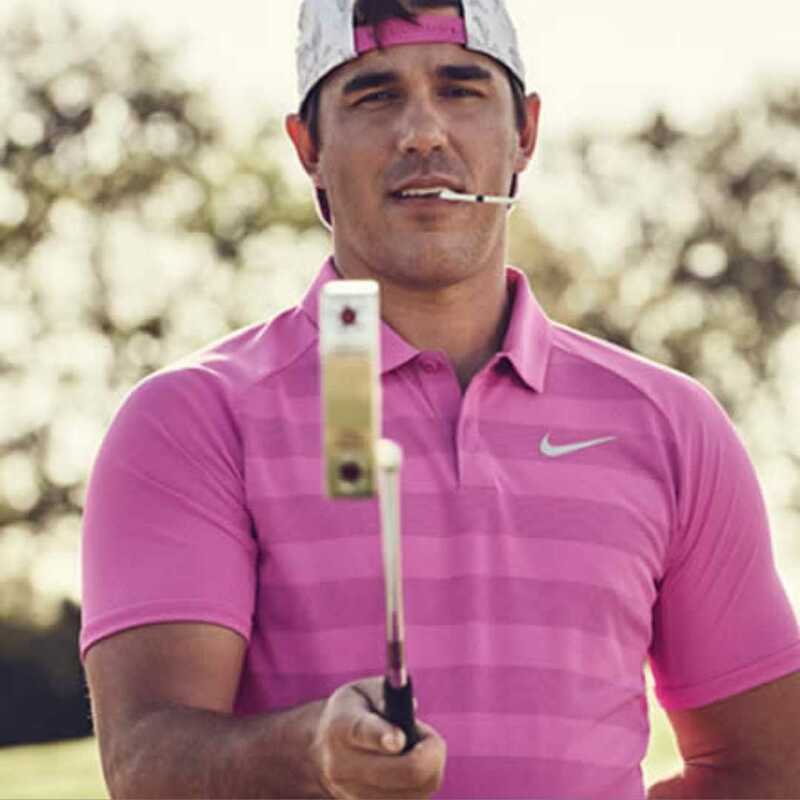 In summary, there are plenty of ways to wear pink on the golf course, and we expect it to be a very popular shade in 2019. Just make sure you wear it with intention, or you could end up looking like you accidentally turned your favourite white polo pink in the wash. This entry was posted in Uncategorized and tagged 360 Magazine, accessories, accessorise with pink, championship, culture, fashion, fashion statement, golf, golf course, how to wear pink on the golf course, pants, Pink, pink fail, polo, preppy trousers, Puma, salmon, shirt, shoes, style, the bold polo, the muted hues, the players, trousers, Vaughn Lowery, verging on red on April 3, 2019 by wp360mag. February 18th is National Drink Wine Day, which is a day each year that celebrates the love and health benefits associated with wine. According to the consulting group BW 166, wine sales in the U.S. topped $72.2 billion in 2018, which was nearly a 5 percent increase over the prior year. Clearly, we are nation that loves a good glass of wine, and the more we learn of the health benefits, the more likely more of us will add a bottle to our grocery list. Wine enthusiasts can rejoice as they celebrate National Drink Wine Day this year, because the drink has plenty of research pointing to the fact that it’s a healthy beverage to drink in moderation. What exactly is moderation? According to the Centers for Disease Control and Prevention (CDC), moderate drinking is up to one drink per day for women and two drinks per day for men. One drink is defined as being four ounces of wine. Further, they recommend that number is not the average consumed over a week, but the amount consumed on any given day. Heart health The National Institutes of Health reports that studies have shown that adults who drink light to moderate amounts of alcohol may be less likely to develop heart disease than those who do not drink at all or are heavy drinkers. Gut health The April 2017 issue of the journal Current Opinion in Biotechnology included the research results of a study on the health benefits of fermented foods, including wine. The study found that fermented foods, including wine, provide health benefits well beyond the starting food materials, and contain living microorganisms of which some are genetically similar to strains used as probiotics. Diabetes health The April 2017 issue of the journal Endocrine reports that the American Diabetes Association and the American Heart Association recommend a Mediterranean diet for improving glycemic control and cardiovascular risk factors in type 2 diabetes. It also reports that studies show that higher adherence to the Mediterranean diet is associated with a 20-23 % reduced risk of developing type 2 diabetes. The Mediterranean diet is one that includes drinking wine in moderation. Brain health Research out of the University of Rochester Medical Center in 2018 found that drinking wine in moderation was associated with reducing inflammation and helping the brain to clear away toxins, including those that are associated with Alzheimer’s disease. Rosé Piscine, a wine that has sold millions of bottles in France and Brazil, recently became available for sale in the United States. Uniquely, it is a wine that has been created to be served over ice. Rosé Piscine is made by Pascal Nacenta in southwest France. The French rosé is 100 percent destemmed, fermented for 20 days with cold stabilization at 60 degrees and then filtered. The final product emerges from stainless steel tanks, offering a floral aroma of white flowers and rose and an exotic fruits finish. Rosé Piscine can be purchased at select stores around the country and online. To find a store near you or to order online, visit the site. 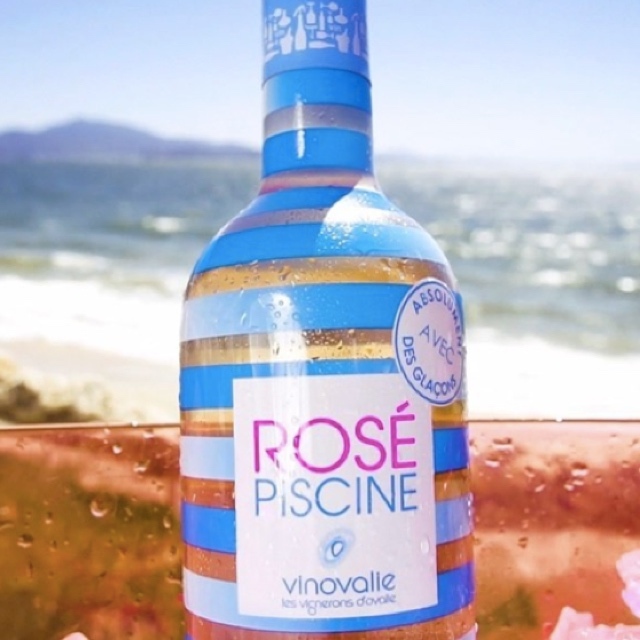 A unique wine in that it has been created to be served over ice, Rosé Piscine is taking the nation by storm. Over two million bottles of it have already been sold in France and Brazil, and it is now available in the U.S. Rosé Piscine is pale salmon in color, light to medium in body wine and is made from Négrette, a locally indigenous varietal known for its powerful aromatic qualities. For more information on Rosé Piscine or the company, visit the site. This entry was posted in Wine and tagged 360, 360 Magazine, alcohol, american diabetes association, American heart association, blake helppie, brain health, brazil, Centers for Disease Control and Prevention, current opinion in biotechnology, diabetes health, diet, drinks, endocrine, France, gut health, health, health benefits, healthy, heart health, national drink wine day, Pascal Nacenta, Pink, rose, Rose Piscine, salmon, summer, Tara McDonough, the national institutes of health, United States, university of rochester medical center, Vaughn Lowery, wine on February 7, 2019 by wp360mag. First opened in 1870 to welcome aristocratic Britons in search of the world’s best salmon fishing, Trondheim’s Britannia Hotel will reopen on April 1 after a multi-year $160 million renovation. The fjord city of Trondheim, located just 60 miles south of the Arctic Circle, is Norway’s third-largest city, home to 200,000. Britannia Hotel is a striking domed white building that has been the world’s most northerly luxurious “palace” hotel for 150 years. It has welcomed distinguished guests from presidents to Nobel Prize winners, to Queen Elizabeth II and the Duke of Edinburgh, to Beyoncé and Jay-Z. The rebirth of the Britannia is the brainchild of Norwegian financier, Odd Reitan, who was born in Trondheim in 1951 and who, at age 14, developed the dream of owning the hotel. He features prominently in the Forbes and Bloomberg lists of global billionaires. A member of Leading Hotels of the World, the Britannia will offer 246 rooms and 11 suites, six restaurants and bars – including its original Palm Court, a spa, gym and indoor swimming pool. The hotel will offer guests the latest technology, sound-proofing, TV’s concealed within mirrors, as well as amenities and lighting that are easily understood and operated. The Britannia will be a celebration of cutting-edge Norwegian and Scandinavian design and artworks. Beds are by the celebrated Swedish handmade bedmaker, Hästens. Bathrooms are a feast of Carrara marble. At the heart of the Britannia will be the glass-domed Palm Court, first unveiled in 1918 and long Trondheim’s meeting place for socialites, artists, musicians and intellectuals. The reborn Palm Court will host breakfast, lunch, brunch, afternoon tea and dinner – offering creative Scandinavian fare. The Britannia’s culinary arts are overseen by Christopher Davidsen, born in the Norwegian city of Stavanger in 1983 and Silver medal winner of the cherished Bocuse d’Or in 2017. Davidsen’s prime focus will be the elegant Speilsalen, his first signature restaurant. The Brasserie Britannia will be classic French, inspired by Paris and Lyon and by New York’s Balthazar. The Jonathan Grill is a casual restaurant specializing in Japanese, Korean and Norwegian specialties. The marble and crystal Britannia Bar is expected to become overnight Trondheim’s chicest cocktail bar and lounge. The Vinbaren wine bar – with its 8,000-bottle cellar – will provide a lounge, tasting room and bar offering tapas, charcuterie and cheeses. 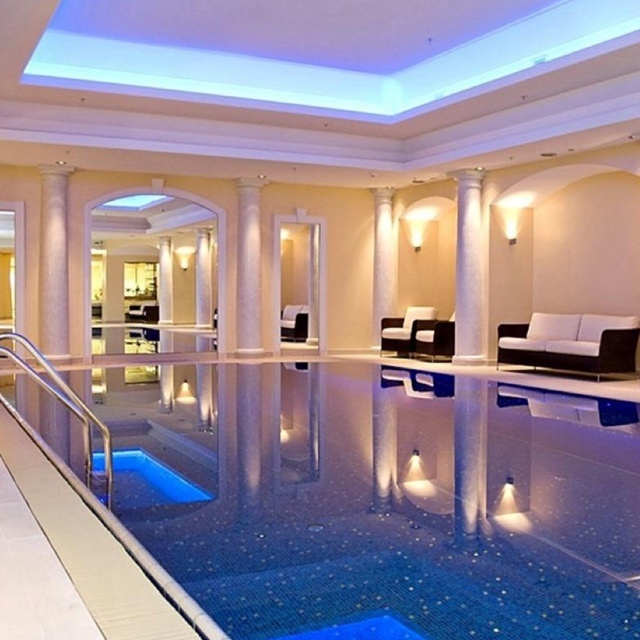 The Britannia Spa & Fitness features a large indoor pool, several saunas, five treatment rooms and personal trainers. The hotel will also offer state-of-the-art conference and ballroom facilities. To learn more about Geoffrey Weill Associates’ complete list of clients, visit: www.geoffreyweill.com. This entry was posted in Travel + Food and tagged 360 Magazine, bar, Beyonce, Bloomberg, britannia hotel, britons, Christopher Davidsen, culinary, design, Duke of Edinburgh, Forbes, Geoffrey Weill, Hastens, hotel, Japanese, jay z, Korean, New York, nobel prize winners, Norway, Norwegian, Odd Reitan Trondheim, Palace, Palm Court, Paris, pop culture, queen Elizabeth ii, salmon, Scandinavian, Stavanger, Tara McDonough, travel, Vaughn Lowery, Vinbaren, wanderlust, wine on February 6, 2019 by wp360mag. The end of summer heralds one of nature’s most enjoyable spectator sports – brown bear watching in British Columbia. From mid-September and into October, the Chilko River hosts one of the region’s most dramatic salmon runs that in turn attracts furry visitors who wander in to dine on a veritable feast of spawning Sockeye. Meet the Chilko Lake grizzly bear (Ursus arctos ssp. ), a large subspecies of the North American Brown Bear. Adult female grizzlies weigh around 290–400 lbs., and adult males about 400–790 lbs. with an average length of 6.50 ft. The congregation of hungry bears can number up to 100 or so, providing a visual feast for human visitors to this remote region who are hungry to see one of Nature’s annual spectacles. Proprietors and owners of The Chilko Experience, Phil and Anne Huston, satisfy guest appetites with friendly hospitality, complete privacy and wholesome fun in the wilderness on their private estate. Plus, they ferry their guests onto the river in boats that are positioned to witness the feeding frenzy — but at a safe distance. 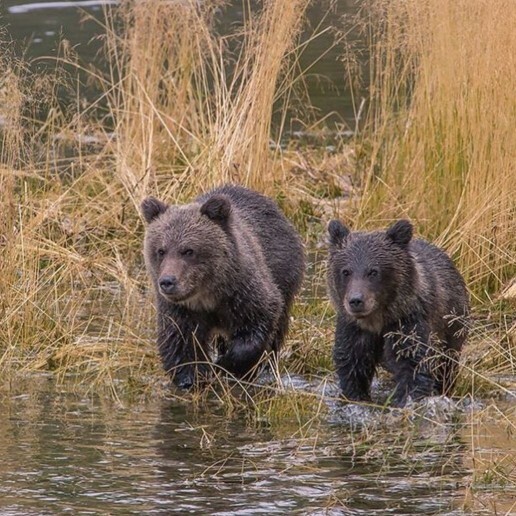 These bears are concentrated on a three-mile river segment beginning at the river’s mouth and extending downstream, an area where in some years the salmon numbers exceed one million. The result is that the Chilko River has some of the finest bear viewing anywhere in North America. The reason for this concentration is that the river is located deep within the BC interior and is the only salmon-feeding option for bears within a 200-mile radius. While there may be more bears located along the coast, with the many feeding options that exist, they are more dispersed and harder to observe. Phil Huston explains that most viewing is done by low-draft river boats with experienced guides who know to stay at least 50 meters away from the bears in order not to stress them. “Of particular interest are the mother bears and cubs. Two cubs are common but families of three are seen also. Photographers from around the world come to Chilko to seek the perfect brown bear photo,” he says. While the bear get to feast, fishing for salmon on the Chilko River is restricted to all but those of First Nations decent. “However, the salmon spawn draws large rainbow trout populations that challenge and reward both the novice and experienced angler,” Huston notes. This season (June 1 through Oct. 21), it’s fun as usual fly and spin cast fishing, canoeing, lake cruising, horseback riding and four-wheeling in the never-ending (five million acres) forests of native pine, splashed by the world-famous Chilko River and Chilko Lake. Complimentary guided activities are conducted directly from the estate. Optional river rafting and guided fly-fishing outings come with an extra fee. Most guests access the Chilko valley via private charter flights originating in Vancouver, BC. The flight time is one hour. Guests can also fly commercially to Williams Lake and then drive three hours to the estate. From Vancouver it’s a 10-hour drive. The estate is a charter member of The Austin Collection and a member of the Mantis Collection, Villas of Distinction and the Chilko Operators Association. The staff practice sustainability, including recycling, at every level. A 48-panel, 12 K solar system generates 98 percent of the estate’s energy needs. On premise are a greenhouse and a 140-foot freshwater well. The abundant water supplies are all based on glacier and snow melt, so pure that residents can drink right from the lakes and streams. This entry was posted in Travel + Food and tagged 360 Magazine, Anne Huston, Atrin Yazdani-Biuki, BC, bear, black bear, British Columbia, brown bear, Canada, Canadian, Canadien, canoeing, Chilko Lake, Chilko Operators Association, Chilko River, Chilko valley, city, First Nations, forests, freshwater, Glacier, Global Society, grizzly bear, HGTV, lake, lakes, Mantis Collection, mother bears, nature, North america, North American Brown Bear, Phil Huston, pop culture, recycling, river rafting, salmon, Sockeye, spin cast fishing, streams, summer, sustainability, The Austin Collection, The Chilko Experience, tourism, travel, Ursus arctos ssp., VanCity, Vancouver, Vaughn Lowery, wilderness, Williams Lake, Timber Kings on July 10, 2018 by wp360mag.